Charles Felton Pidgin was born on 11 November, 1844, in a house in Felton place at Boston Highlands, Roxbury, Massachusetts, to Mary Elizabeth (Felton) Pidgin (born 1823) and Benjamin Gordon Pidgin (1820-1882). Charles had two younger sisters—Mary Felton (b. 1848) and Nancy, who died young. Benjamin Pidgin was a varnisher, while Mary Elizabeth, as it was a general rule at the time, was keeping house. As a young child, Pidgin was rendered lame by an accident to his hip, and he was also partially blind for a number of years, but he remained a unremitting worker for the rest of his life. 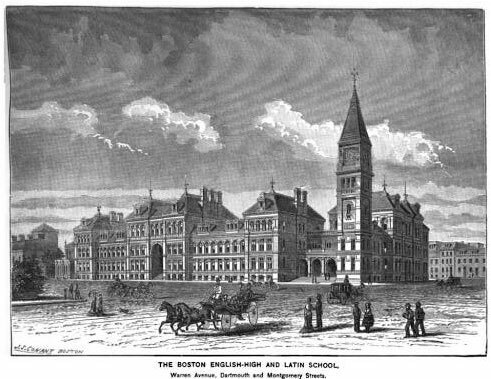 After graduating from the English High School in Boston (one of the first public high schools in America, see the image below) in 1863, he worked for ten years as an accountant in mercantile business. In 1873 Pidgin was appointed as a chief clerk of the Massachusetts Bureau of Labor Statistics and remained connected with the Bureau for over thirty-four years. In addition to performing his administrative duties as an official of the Bureau, he contributed much statistical material for publication in the Bureau's reports and labor bulletins, and in 1888 he published, independently, a book entitled Practical Statistics. He was appointed Chief of the Bureau in 1903, and remained there until 1907, leaving to focus on his writing work. Charles Pidgin also invented numerous devices and machines for the mechanical tabulation of statistical data, some of which were patented, and two advanced calculating machines (see the calculating machines of Pidgin). Pidgin developed also a system for census (in his so callled "chip" system, data from the schedules were transcribed to colored cards, and the cards were counted by hand), which in late 1880s was the main rival of the tabulating system of Hollerith. I find it fun that besides the elaborated machines, in 1917, Pidgin patented a very ludicrous idea (patent No. US1240774A)—to display dialogue in silent films, as actors inflate balloons or party favor-like objects with text on them, in order to recreate the act of speaking. He even improved his funny idea, obtaining another patent in 1919 (patent No. 1317725). His spare time out of office Pidgin devoted not only to inventions, but also to literary work. Besides being a frequent contributor to periodicals, he wrote and gained even greater prominence as an author of many books, librettos for cantatas, operas, and musical comedies, than as a statistician and inventor. Pidgin's musical comedy adaptation of Peck's Bad Boy was first produced in 1883 and ran for many years. Pidgin's first and most popular novel Quincy Adams Sawyer, published in 1900, was aggressively marketed by his publisher, C.M. Clark Publishing, sold over 250000 copies for several years, and later was adapted for the stage and films. 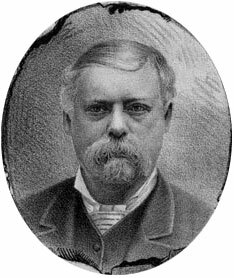 His next novel, Blennerhassett; or, The decrees of fate (1901), was sold over 60000 copies before even appearing in print. The next novel of Pidgin from 1902, The Climax: or, What Might Have Been: A Romance of the Great Republic, envisioned an alternate history where Aaron Burr did not kill the president Alexander Hamilton, and later became president. Charles Pidgin married three times. He married his first wife Lizzie Abbott Dane on 3 July, 1867, but she died next year, in June, 1868. In November, 1873, Pidgin married to Lucy Sturtevant Gardner (1850-1896), who became a doctor and practiced medicine until her death of heart disease in June, 1896. Pidgin's third wife was Frances Fern Douglas, they married in July, 1897. Charles Felton Pidgin died at his home in Melrose Highlands, Massachusetts, on 3 June, 1923.